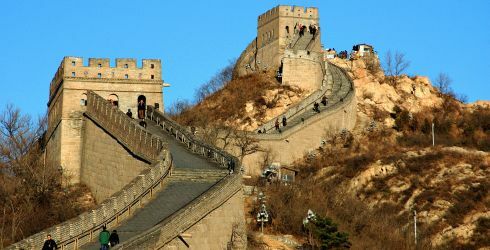 Group Travel to China might just be the perfect way to explore one of the world's oldest countries. From glistening skylines in China's modern metropolises, so the sweeping gracefulness of the Great Wall of China, this country is full of wonderful experiences perfect for sharing as a group. So what are you waiting for? Start planning that dream trip today. Did you know that as the organizer of a group, you can travel for free or at a discount just for pulling together enough people to travel on a group itinerary? Groups visiting China can also get perks and discounts, subject to the group's size and your specific plans. No matter where you go in China, you'll have more than enough options to keep everyone busy. One common pitfall is deciding on a single, "one size fits all" itinerary, which doesn't give individuals much flexibility in terms of how they want to spend the time. The ideal itinerary will have a balance of free time to do as you please and group time where you can talk about your experiences and go exploring together. It is a difficult decision on choosing the perfect travel professional to work with you on nailing down the perfect plan for your China trip. Be sure to consider the options carefully - the right individual will have expert knowledge of China's many various destinations, but also firsthand experience in getting groups around China, which can sometimes be difficult for those who haven't been there before. What do you think of when you picture China? Chances are you imagine walking on the Great Wall, visiting the immense Forbidden City, standing in Tiananmen Square which you remember from the news and looking at the ancient Terracotta Warriors of Xi'an. Explore all these classic Chinese experiences and more during this trip to visit the highlights of China. View the complete day to day Classic China.